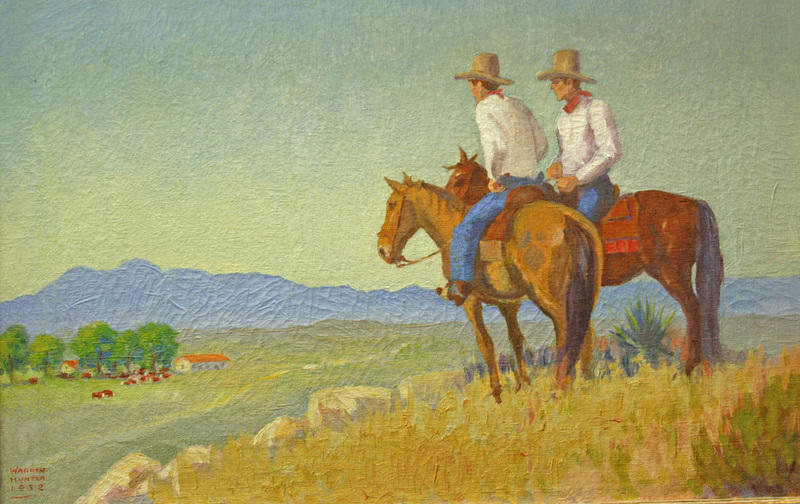 The Doane Western Art Gallery houses a selection of the museum’s western art collection. The vast majority of the paintings were done by former museum owner, F. B. Doane. A passionate collector of western art and artifacts, Mr. Doane also expressed his love for the Old West through his art. The paintings of Mr. Doane are displayed along with the more contemporary artwork of his daughter, San Antonio artist, Peggy Calvert. The museum's collection also includes works by Texas artist, Warren Hunter, son of J. Marvin Hunter Sr. The paintings are hung against the museum’s natural rock wall which provides a unique gallery setting that reflects the landscape of the Texas Hill Country.